We sell two different types of mattress pads: fitted and flat. The fitted mattress pad has elastic around the outside allowing it to stretch and fit under the mattress, like a fitted sheet. 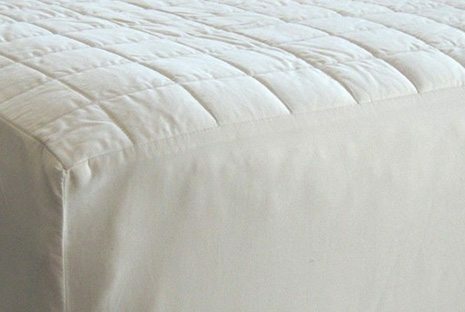 Currently, most of the organic cotton mattress pads Twin through King size that we sell are fitted mattress pads. Flat mattress pads are held in place either by straps that tuck under the mattress corners, or simply by placing a fitted sheet over it. All of our crib size organic cotton mattress pads are currently the flat style.